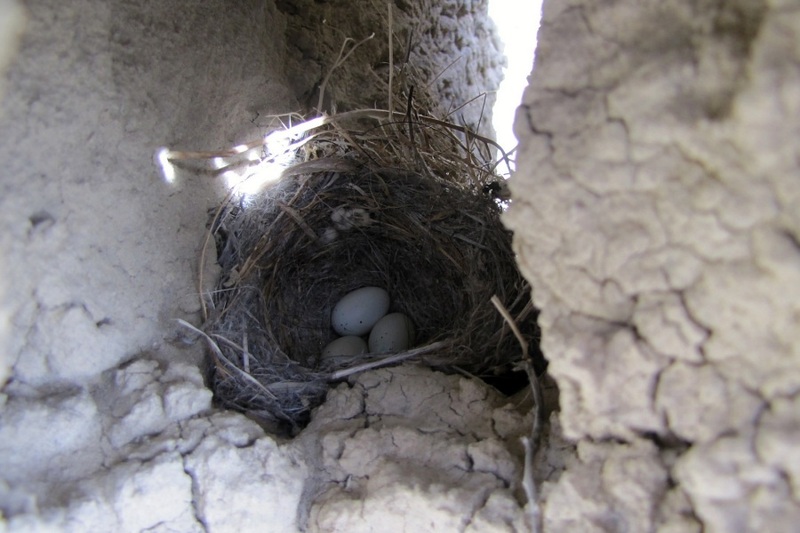 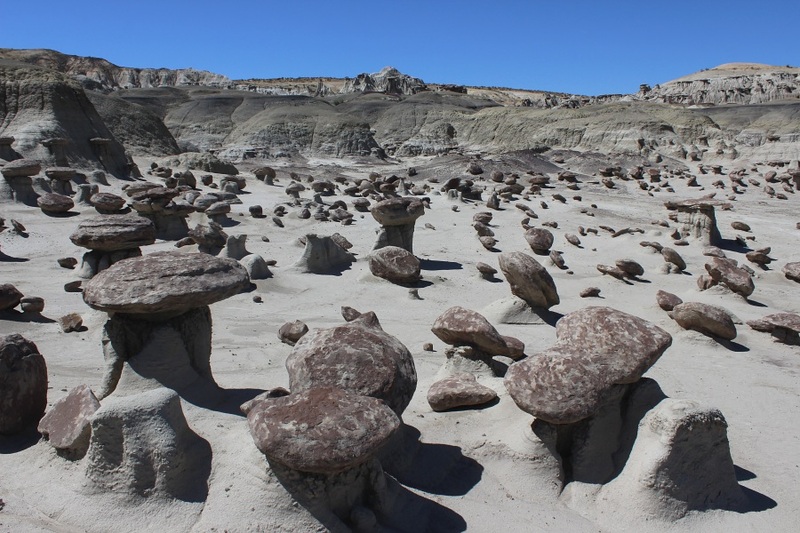 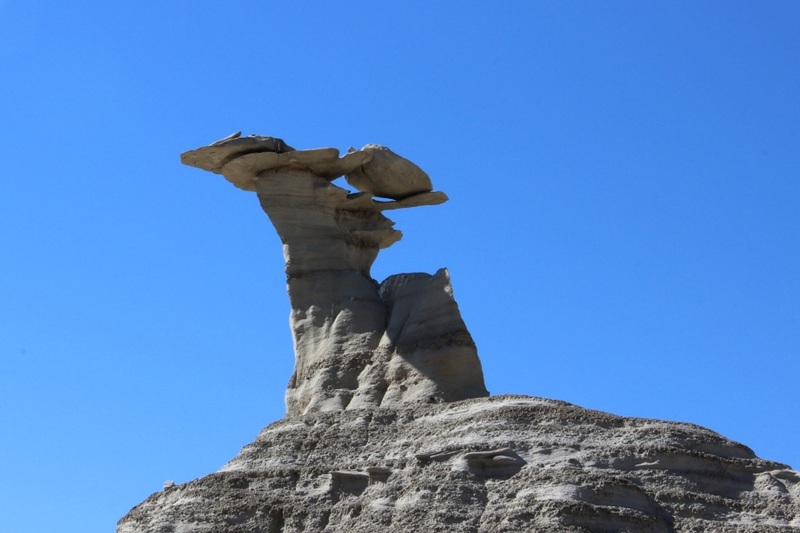 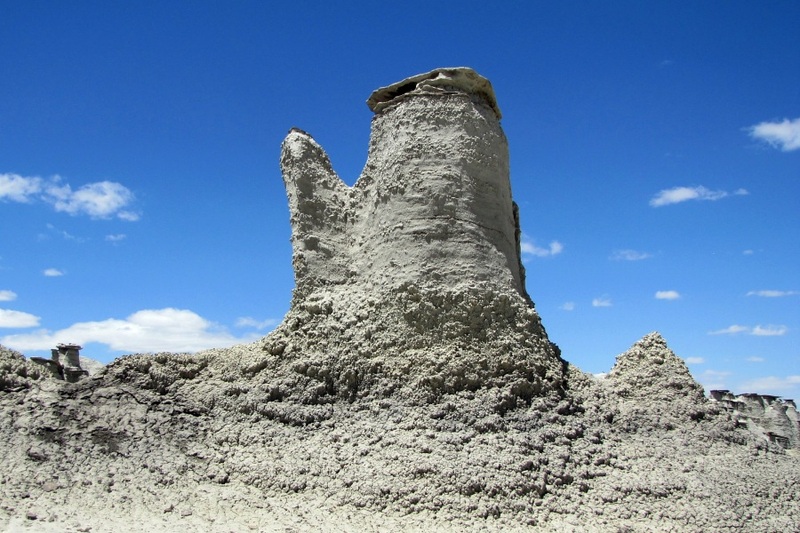 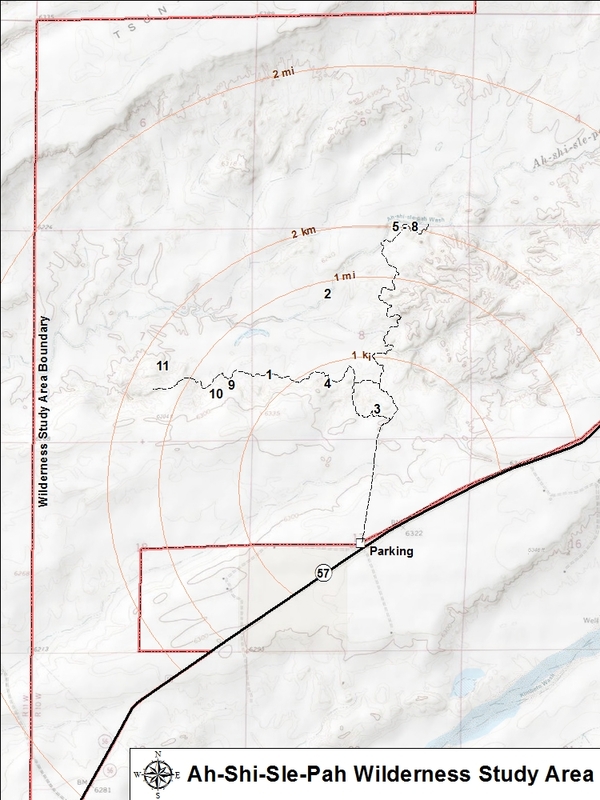 A federal wilderness study area, "Ah-shi-sle-pah" ("gray salt") are eroded badlands that like the Bisti / De-Na-Zin Wilderness offer some of the most unusual scenery in the Four Corners. 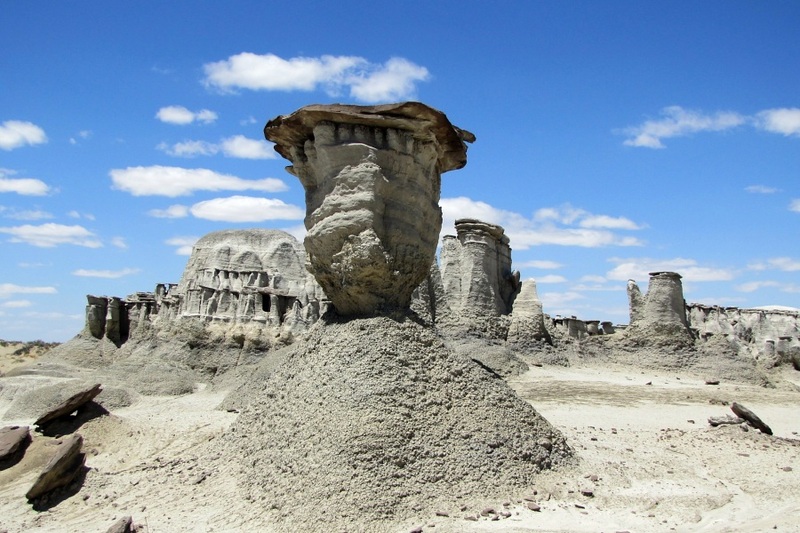 Erosion has etched a fantasy world of strange rock formations. 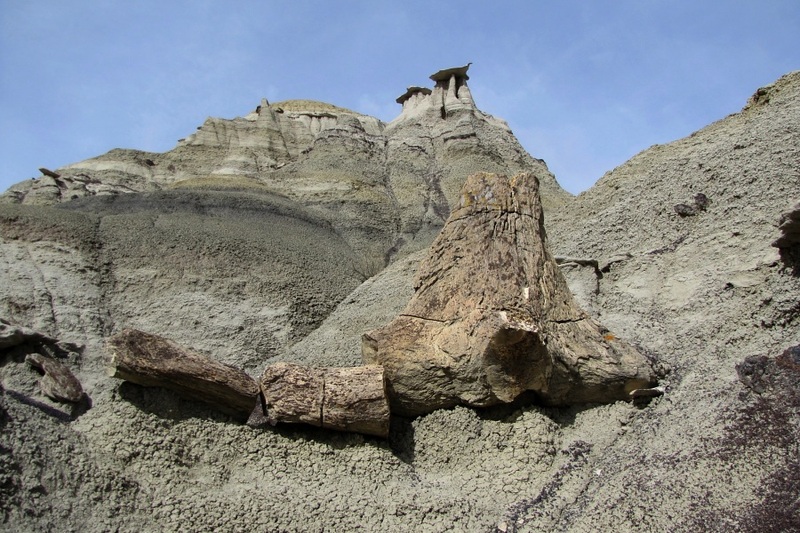 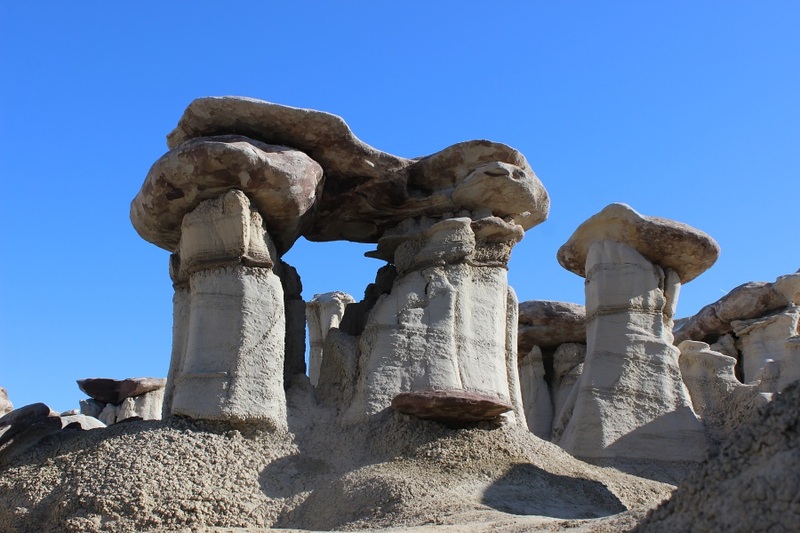 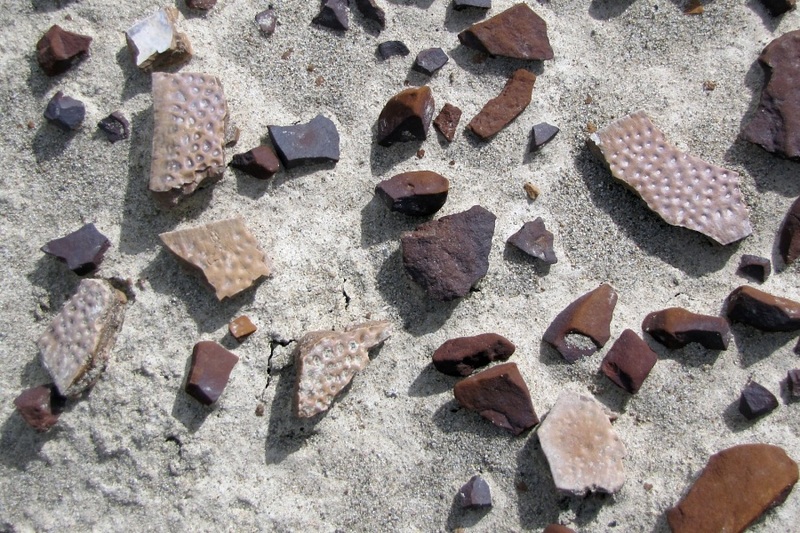 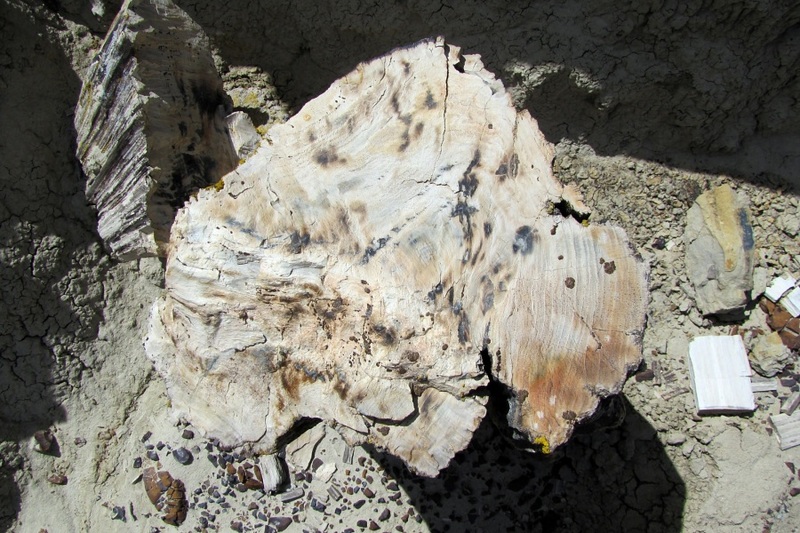 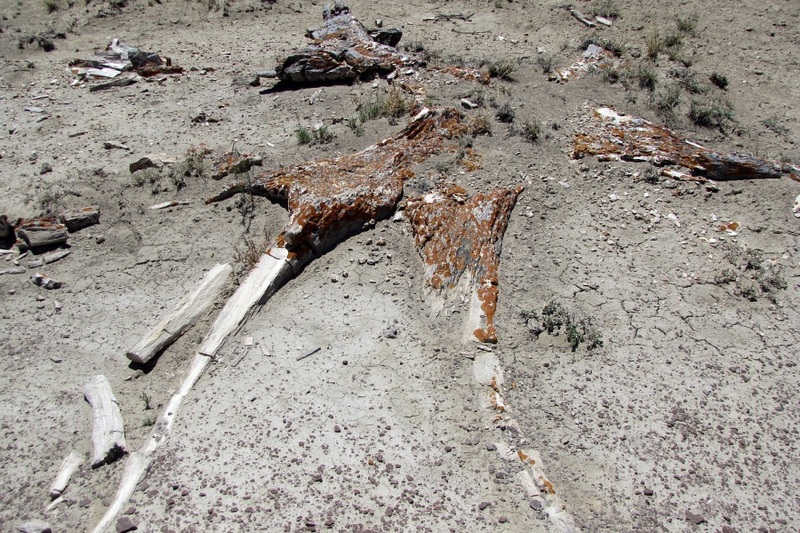 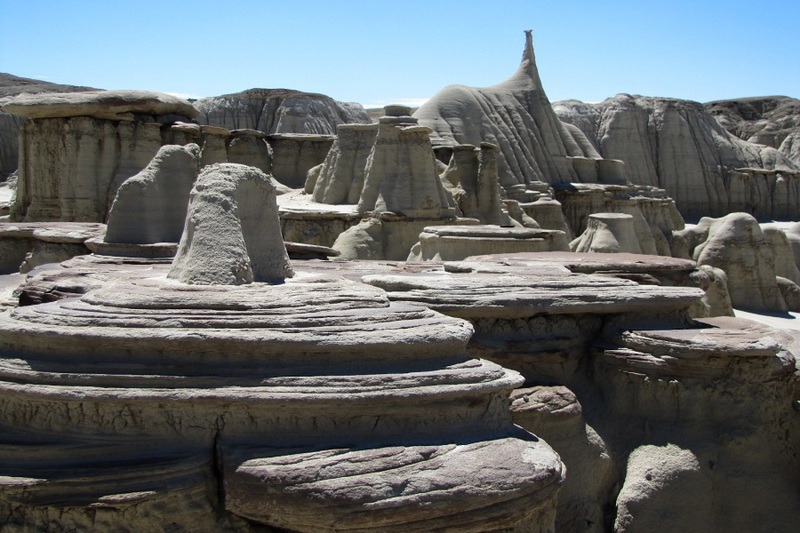 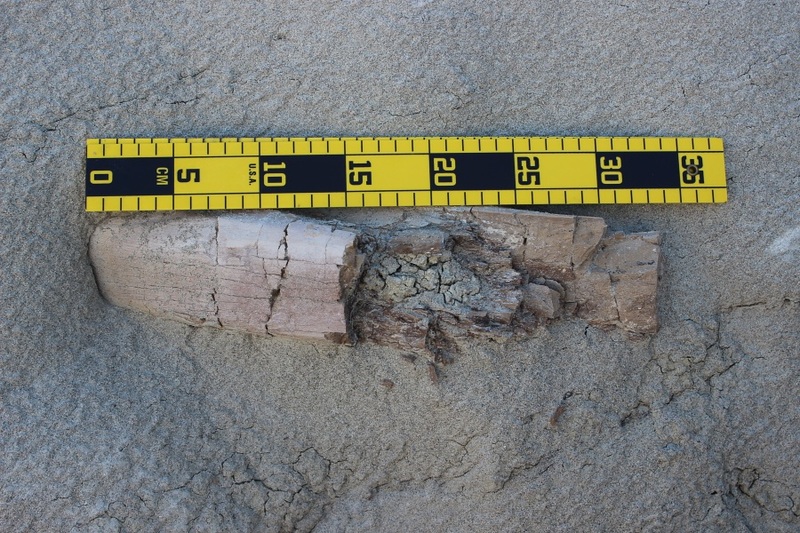 Most commonly found in the Ah-shi-sle-pah are hoodoos, petrified logs and stumps, rounded clay hills of various soft colors, and fossils from the late Creteous era (dinosaur, crocodilian scutes, and turtle shell). 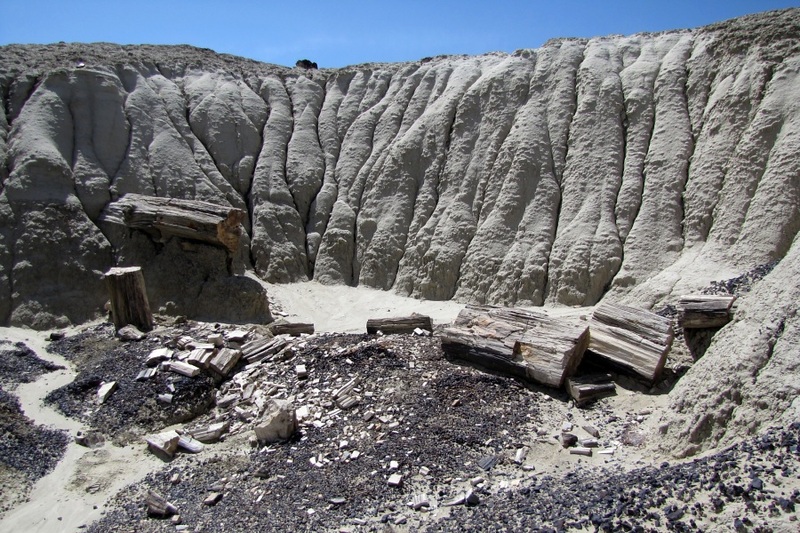 The rock units include most of the upper Fruitland Formation and lower part of the Kirtland Formation, both late Cretaceous in age. 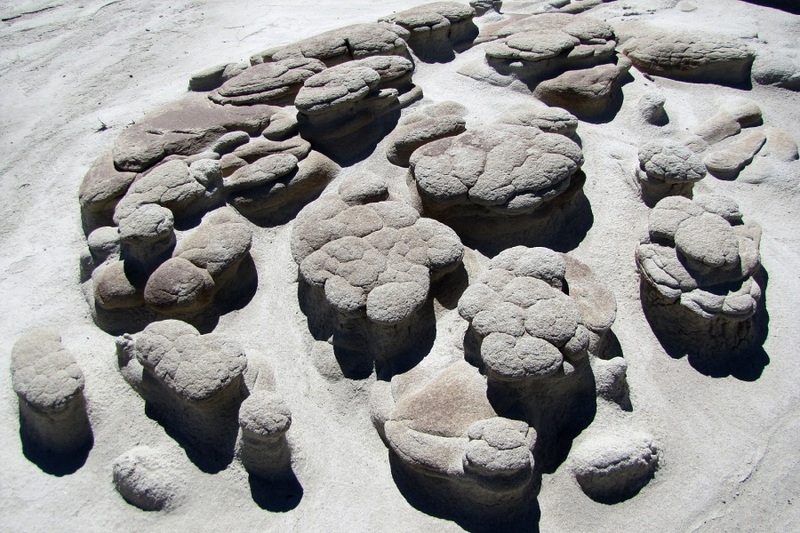 The rocks are dominated by mudstones and intermittent sandstones, with occasional resistant channel sandstones.